NEW - data logger MS55D replaces data loggers MS5D, MS5. 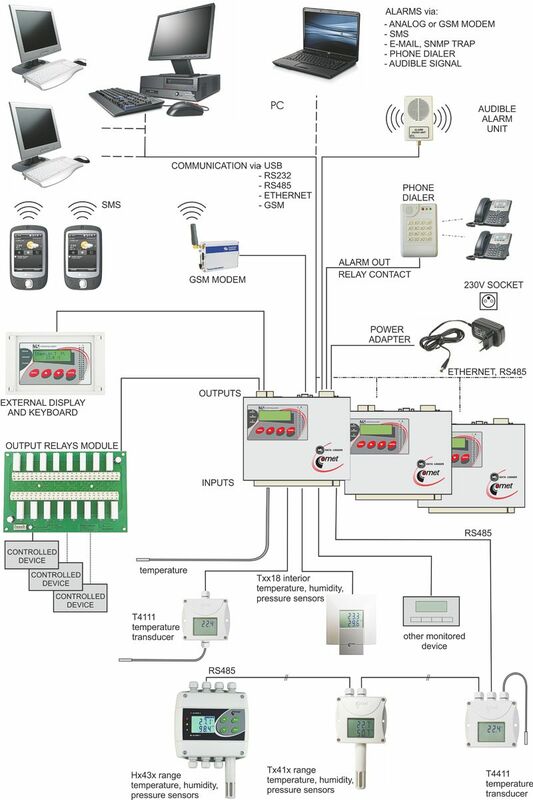 The reason of replacement is to offer system to user, which works from the user point identically as MS6 system, but it is equipped with input modules known from MS5 data loggers. MS55D data loggers support all advantages of MS6 data loggers including faster communication protocol. MS55D is designed to applications, where universal inputs of MS6 do not offer required parameters. Individually configure each input channel for measurement, alarm evaluation and data logging , including individual logging interval for each input. Inputs marked with asterisk (*) are available also as galvanically isolated - see notes below table. M1001 �A0 dc current 4 to 20 mA �0.1% FS With source approximately 21V for two-wire transducers with current loop (e.g. temperature and humidity transducers Comet). Only galvanic not isolated. range -10 to +50�C �0.06�C Two-wire connection. M1061 �RP input for serial signal RS485 for devices supporting Modbus RTU or Advantech protocol E.g. measurement from Comet Tx41x temperature, humidity, pressure, transmitters. Inputs marked ( * ) are not galvanic isolated and have common ground. These inputs are available also as galvanic isolated. Galvanic isolated analog inputs are marked with letter G following the name of input type (e.g. input for passive measurement of current 4-20mA - type A1 - with galvanic isolation is marked A1G). Galvanic isolation is not designed as safety protection.